FRESH VINE-RIPENED TENNESSEE TOMATOES AVAILABLE THIS WEEKEND! 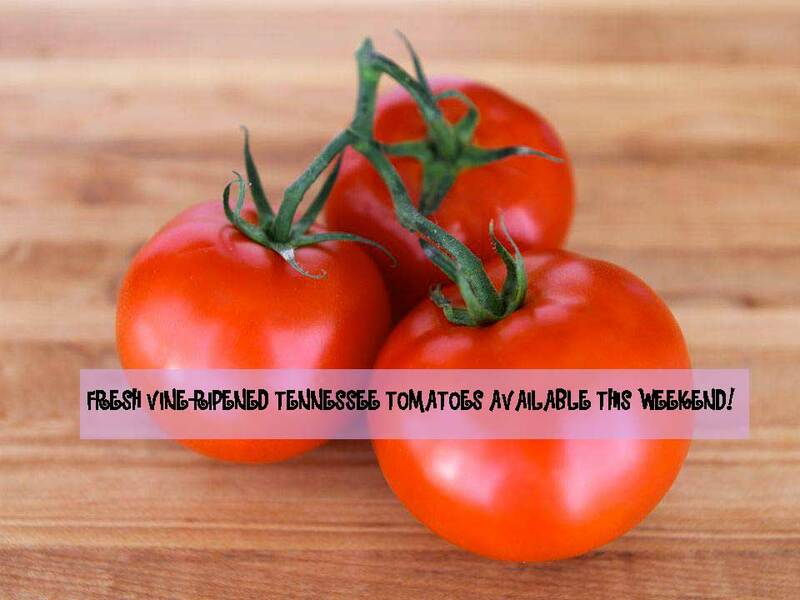 Don’t miss out on these delicious fresh vine-ripened Tennessee tomatoes available this weekend! They work perfect for a healthy lunch on a warm summer day! Check out this recipe for an easy to make Mediterranean Tomato Salad! This entry was posted in Uncategorized and tagged cooper's, fresh, salad, summer, Tennessee, tomatoes. Bookmark the permalink. ← Want to make your mother a fresh Deep-Dish Rhubarb Pie with Crumb Topping for Mother’s Day?